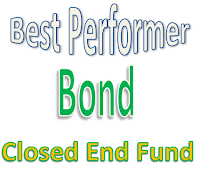 Find best performing taxable bond closed end funds 2013. The top CEF funds are NexPoint Credit Strategies Fund, PIMCO Global StocksPLUS & Income, and more. Bond funds have not performed very well for the past year. In 2013, any investors are either loss capital or gain very little. No one would expect a big gain for bond funds. However, some of the bond closed end funds managed to achieve just that a big return in 2013. Most of the top performing funds are senior loan fund, multi sector, convertible debt, high yield debt, etc. Will these top funds stay on top in 2014? Find the fund review below. Whether you are investing for your brokerage fund or retirement fund, you need to be sure you are making the right choice. You may find the fund yield, performance return, expense ratio, total assets, and rating. You can also find my previous top performer municipal bond CEFs article. You will rarely see a big gain for any bond funds. In 2013, NexPoint Credit Strategies Fund managed to achieve a high YTD return of 56.78%. This taxable bond fund utilizes its assets to purchase in floating and fixed rate loans, bonds, debt obligations, mortgage backed and asset backed securities, collateralized debt obligations and equities. It is managed by James Dondero since September 2012. The expense ratio is high, 3.14%. Ranked with 4 stars rating by Morningstar, it also has a high yield of 6.19%. Popular among investors, it has total net assets of $969 million. This best performing fund has a 3 year average return of 16.37%. The top 3 sectors are general equity, asset backed securities, and senior loans. PIMCO Global StocksPLUS & Income Fund is managed by Daniel J Ivascyn, one of the top bond managers. 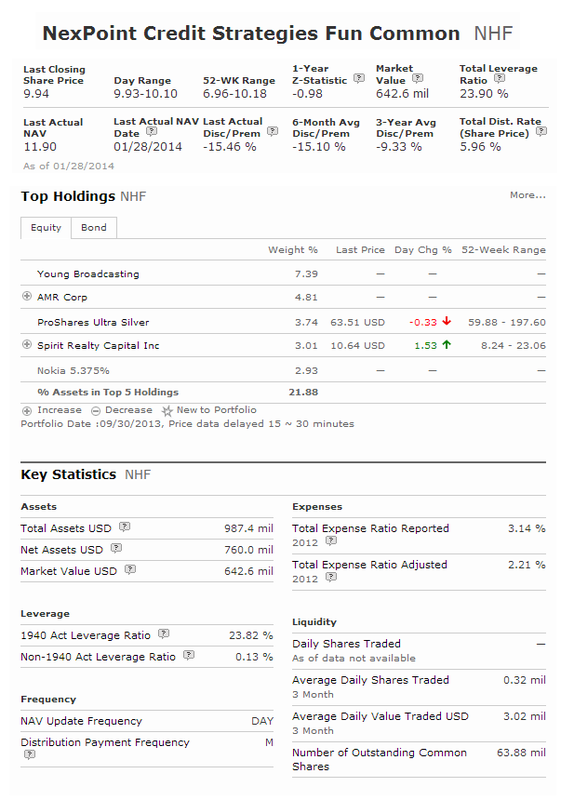 The market price is currently trading at 55.50% premium to the fund’s net asset value. The total assets are invested in equity index derivative instruments based on the S&P500 and MSCI EAFE Indices and through utilizing an options strategy. Its expense ratio fee is 2.62%. This top performing fund has a distribution rate of 9.49%. 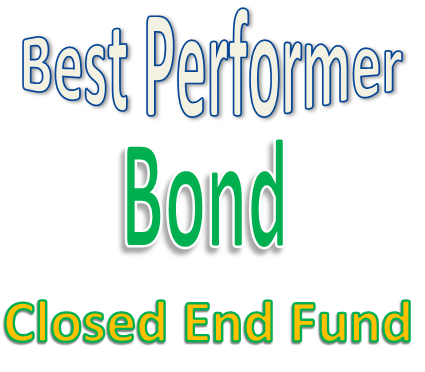 This bond closed end fund is ranked with 5 stars rating by Morningstar. It has returned 13.39% over the past 3 year, and 33.26% over the past 5 year. The YTD return in 2013 is 43.46%. The top 2 holdings are S+p 500 Future Dec13 Xcme 20131219 19 Dec 2013, and Fed Natl Mort Assc 5.5% 5.50 15 Nov 2043. While Bill Gross is well known as the manager of PIMCO Total Return Fund, he also managed several bond closed end funds. One of the top performing taxable bond closed end funds is PIMCO High Income Fund. In 2013, this closed end fund has a year to date return of 32.39%. Its expense ratio is only 1.06%. The total net assets are $1.2 billion. With high return, this top performing fund has a high yield of 12.53%. This PIMCO fund has returned 33.59% over the past 5 year and 11.96% over the past 10 year. The top 2 debt sectors are consumer products, and wirelines.